EXCITING NEWS! (14 Oct 2018): We have collaborated with Screen to Plate to bring you this recipe as a meal kit! Order at screentoplate.com and learn more about the collaboration over on our post for potsticker dumplings, a recipe that we developed especially for Screen to Plate. For one month only, get £10 off your first order over £30 with the code FIRSTBOX10. Our idea of the dish ‘satay’ has been firmly shaped by what Mum made for us growing up. It was spicy, peanutty and sweet all at once. 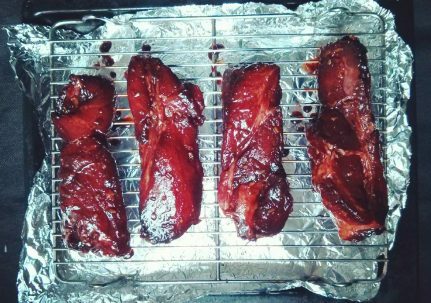 So far, so good, you might say, as this probably sounds similar to the satays you’ve tried. However, Mum’s version didn’t feature any skewers of meat. There was chicken, but there was also cauliflower and carrots and cabbage, and it was all suspended in a light but generous sauce spiked with flavours that you’d expect from a peanut satay sauce. This dish she simply called ‘Chicken Satay’. 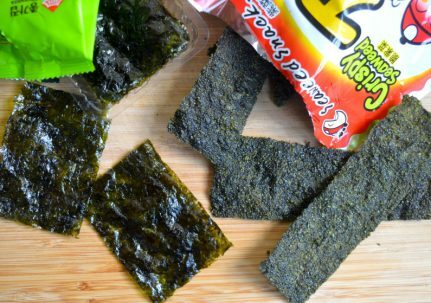 And even after decades, it has remained one of the most popular options at our family’s market food cart. 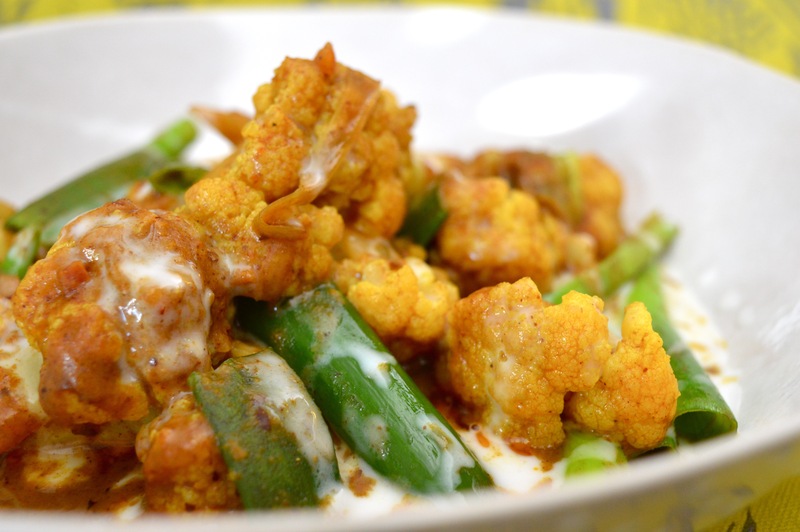 While customers ordered it for the promise of hunks of chicken and satay-ey goodness, my favourite part was always the cauliflower. So much so that when the lunch rush hour (which usually latest about 3 hours!) was over, I’d help myself to a portion of the chicken satay but naughtily focussed on selecting the cauliflower florets. Having been nursed in the sauce they fabulously absorbed the spiced peanutty flavours and were so satisfying on their own that I never missed the chicken. 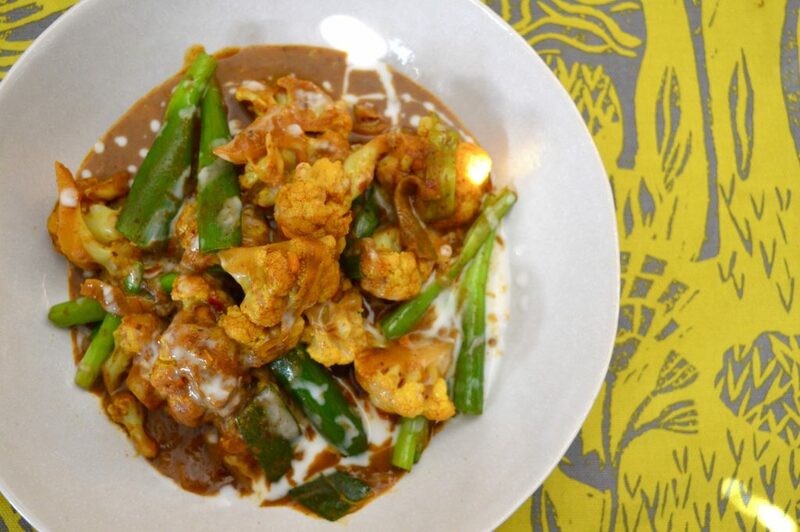 And so this dish was born, where the satay-laden cauliflower is the star of the show. The sauce is a bit richer, the heat dialled up, and ever as comforting as the original. 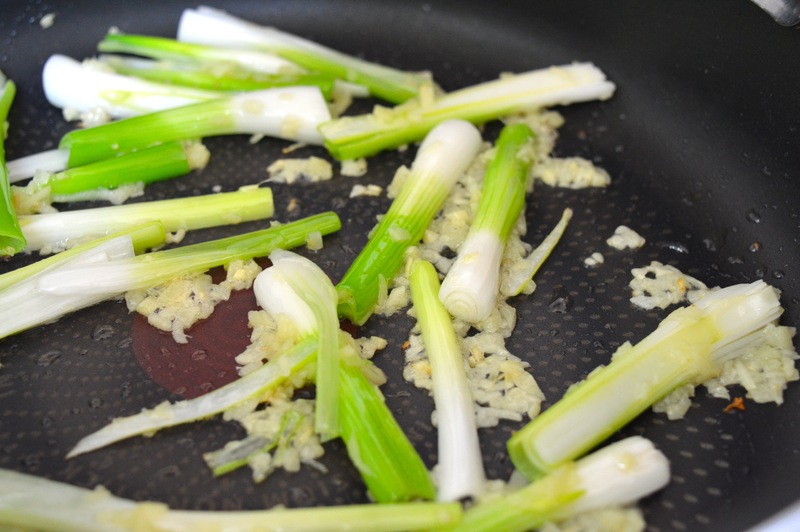 Over a medium heat, fry the ginger and white parts of the spring onions in the oil, until charred along the edges. Stir in the the garlic, curry powder and chilli flakes. 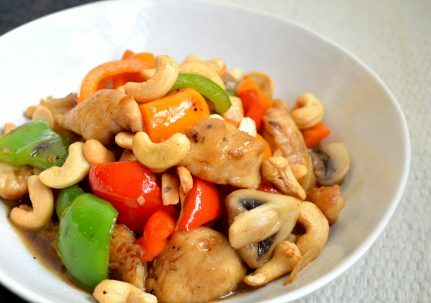 When the mixture is dry, dark and fragrant, turn the heat to high, add the light soy sauce and fry until evaporated. Pour in 300ml of cold water and immediately cover with a lid. Let it boil vigorously for a few minutes. 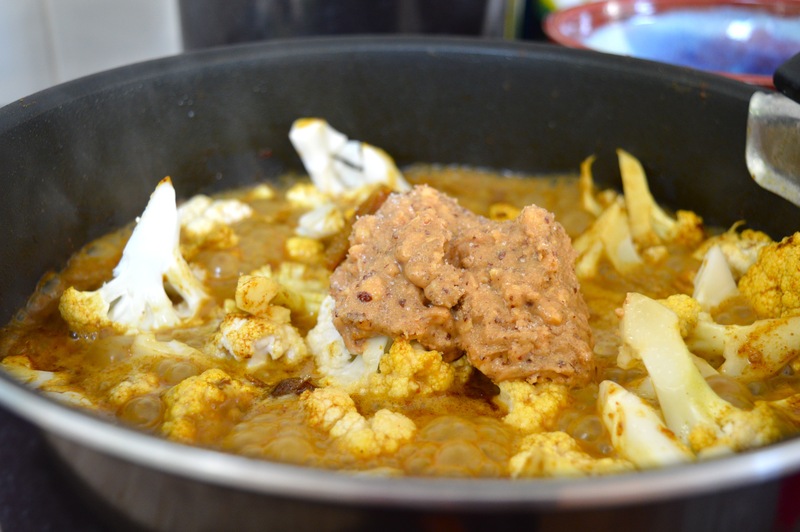 Add the cauliflower, peanut butter, sugar and coconut milk. 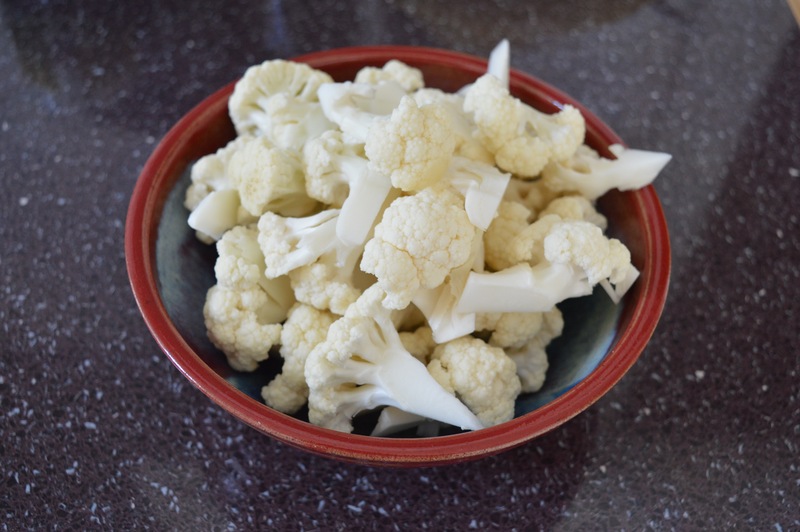 When the cauliflower has softened, stir through green parts of the spring onions until wilted. Serve with a drizzle of coconut milk on top. Omg! Sooooo delish!! Thank you for the yummiest dinner this month! This was DELICIOUS. I added a bit of potato to make it stretch a little farther; do you have suggestions for how/where to add chicken/cabbage/carrots so that it’s just like your parent’s? 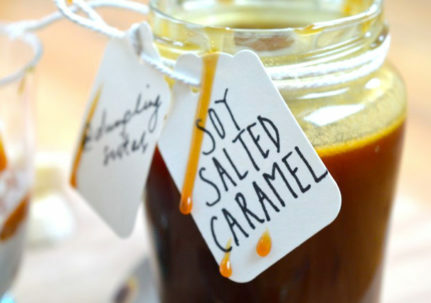 I am obsessed with that sauce, trying to come up with tons of variations! With love from North Carolina! Hi, just made your crispy chilli beef, sticky pork and one pot cauli satay, all were yum, except the satay was more like a curry, we live in NZ but I used Chinese curry powder, do you think it would be better to reduce the curry powder and switch the peanut butter, can you suggest the best brand to use. But once again thanks for the recipe especially the chilli beef.